In the summer before she came to play volleyball at the College, Katie Jarrett ’16 was supposed to receive a package from her “big sister” on the team. When it finally arrived in the mail, there was a message from Alex Schoenberger ’15, explaining that Jarrett’s mentor was out of reach for the summer. That’s because Lucia Pohlman ’15 was on a farm in Italy, far from Hanover and the rest of the women who would be coming to join the volleyball team at the beginning of the fall. It was there that Pohlman realized her passion for sustainability and the mission to maintain a healthy planet. Pohlman was born and raised in Marin County, California, just 20 minutes north of San Francisco, where she lived her entire life before coming to Hanover in the fall of 2011. While she wouldn’t go so far as to say that she was born with a green thumb, clues from her childhood would hint at her predisposition for all things natural. Each day for nearly seven years, from first grade through eighth, Pohlman would walk to school, taking in the nature around her. Her neighborhood is sandwiched between San Francisco and Muir Woods National Monument, a national park that encompasses one of the few remaining California Redwood forests in the area. Growing up, Pohlman went through several iterations of possible career paths. As a young child, she developed an acute interest in art, and during every holiday season, she inevitably recieved another drawing or painting set. Sports also became a big part of her life, and in sixth grade she took up volleyball for the first time. After her freshman year of high school, Pohlman transferred to Redwood High School, a school known for its volleyball prowess. Pohlman lettered in volleyball all three years at Redwood, culminating in her role as the team captain her senior year. That season, Redwood won the Marin County Athletic League, and Pohlman was named its Player of the Year. Unlike many Division I athletes, Pohlman never considered collegiate volleyball as the obvious next step. Even so, colleges began to notice her versatile skill set. Recruiting offers started coming in, and Pohlman considered the College of William and Mary, the University of Pennsylvania, Georgetown University and Dartmouth. 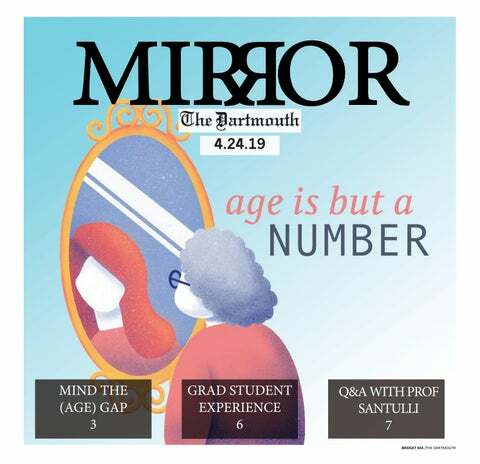 “When I chose Dartmouth, it was because — for some reason — when I was a little kid, I felt like I wanted a shared experience…where we could walk up to anyone and [say] ‘we went through that together,’” Pohlman said. After four years, Pohlman says that she has gotten exactly what she wanted out of it during her time at the College. From the start, Pohlman was a key contributor to the volleyball team. She finished fourth on the team in digs and third in blocks during her freshman year, playing all over the court in head coach Erin Lindsey’s first season. Academically, Pohlman was interested in a career as an interior designer or in international relations. Heading into her first summer with the opportunity to spend time away from campus, however, Pohlman decided to spend her time in the Tuscan countryside through the World Wide Opportunities on Organic Farms program. WWOOF members are given free food and a place to stay in exchange for a bit of work around the farm. Pohlman said she had it all during her stay — an Italian boyfriend, free food and travel experience. While there, she realized she wanted to study environmental science. In the midst of reading a book on environmentalism in a nearby farm’s library, Pohlman suddenly arrived at a moment of realization — this is what she needed to devote her life to. “In retrospect, I look at that like, ‘You were on an organic farm Lucia, that was very clear you were on that path,’ but to me [at that moment] it was a complete revelation that I had never thought of before,” Pohlman said. When she returned to campus after her time abroad, she immediately dove into sustainability ventures. After applying to a wide array of programs, she ended up in an unlikely position — the program manager for the Dartmouth Bikes program through the sustainability office. Nonetheless, Pohlman quickly made an impact. Previously, the bike program had little reach beyond the pop-up repair shop. Realizing that there were many abandoned bikes around campus, generating material waste even when there was such a high demand for them, Pohlman sprung a plan into action to set up a bike rental system. The process was time-consuming — Pohlman needed to clear legal paperwork and give a presentation to her boss, the sustainability program manager Jenna Musco, on the cost-effectiveness of the idea. Her efforts paid off, and the bike rental system is still in place and thriving today. This success helped Pohlman recognize her skill and passion for designing and managing projects. That quickly evolved into further sustainability measures, especially regarding Dartmouth Dining Services and food waste. Pohlman’s next project, though, made her take a step back. Inspired by environmental studies professor Anne Kapuscinski’s research on integrated food energy systems — high-tech zero-waste greenhouses — ­­Pohlman aspired to bring one to the College. After rounding up all the people and paperwork she needed, however, she realized that a year and a half was not going to be enough time to see the project through. Disappointed but not discouraged, Pohlman went back to the drawing board. While serving as the bike program manager, Pohlman had to learn how to juggle academics, volleyball and her extracurriculars. On the court, Big Green volleyball struggled. The team won two games, only one during Ivy League play, during Pohlman’s sophomore year, tying for the fewest in the program’s history since its inaugural season in 1994. The young team missed the veteran leadership of captains Annie Villanueva ’12 and Amber Bryant ’12. Villanueva finished her career as Dartmouth’s all-time leader in kill percentage, and Bryant holds the record for digs in a game, season and career. The graduating class also included Madeline Baird ’12, who holds the all-time record for kills. Understandably, the team had big shoes to fill, but managed to improve to an 11-15 record by Pohlman’s junior year. This past season, the team finished above 0.500 for the first time in three years, but went 4-10 in the Ivy League. Despite opening up the year with a 13-4 record, the Big Green ultimately dropped the final eight games of the season. Currently, Pohlman is finishing up her thesis on community-supported agriculture. In the winter, she was named an inaugural Stamps Scholar, funding her study of which food systems would be the most feasible and effective to implement at the College. In addition, Pohlman is investigating the possibility of an organic farm social space similar to the Moosilauke Ravine Lodge. In the near future, Pohlman is looking to open an urban farm back home in San Francisco, creating fresh produce for an area that can’t seem to get enough of it. Including fellow Dartmouth students, Pohlman said, would be a dream come true. “It would be so awesome to give back to the Dartmouth community by giving a space for Dartmouth students to thrive and show them how amazing and nourishing that kind of lifestyle can be,” Pohlman said. As for her peers and the youth population today, Pohlman had some memorable words: “You don’t need to consume as much as you do right now. Profit doesn’t mean welfare, and money doesn’t mean happiness. Really evaluate where you are spending your time and [whether] it’s to [earn] money because someone told you that would make you happy or if you’re actually evaluating what you really care about and spending time there.”Katie Jarrett is a member of The Dartmouth Senior Staff.